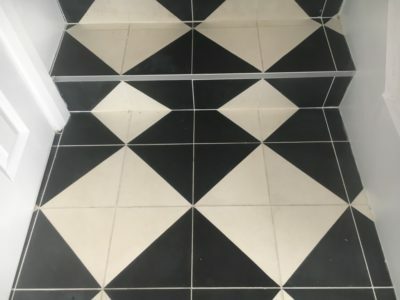 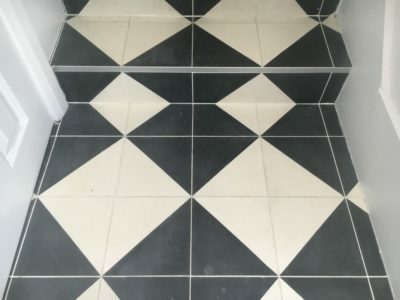 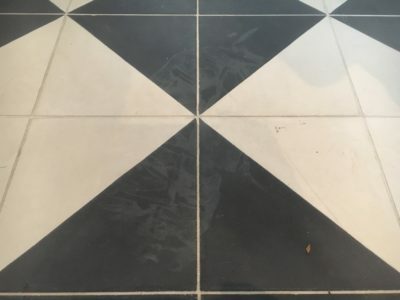 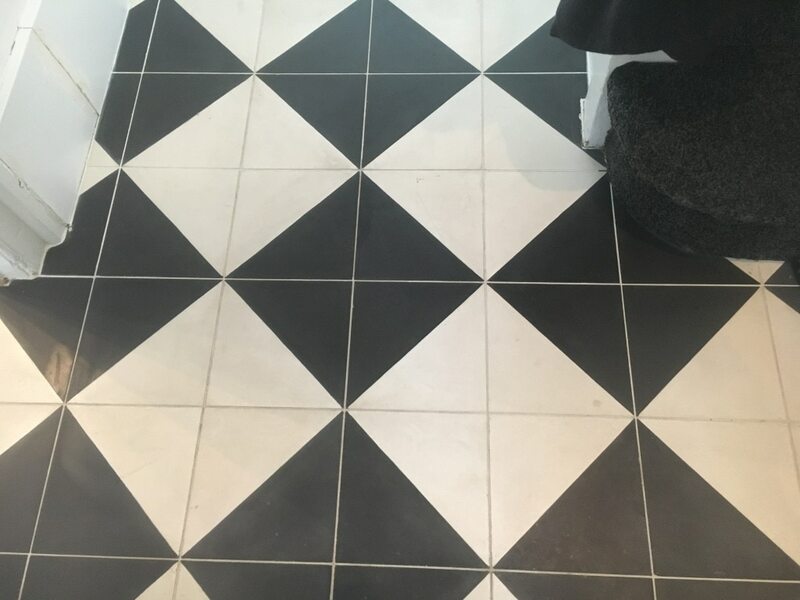 These coloured cement tile in a house got stained by a cleaning chemical that leaked inside a shopping bag left on the floor. 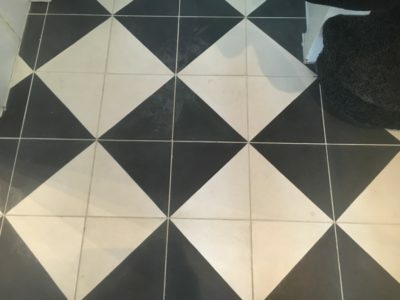 The treatment to the cement solved the problem. 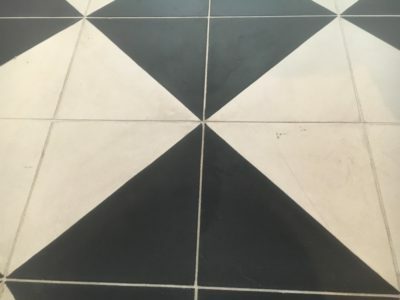 The white etch stain can be seen clearly on the dark section of the floor.